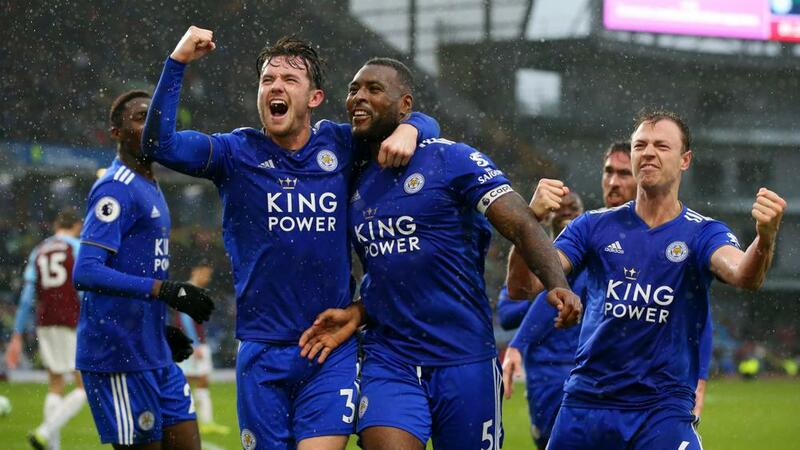 Wes Morgan headed a 90th-minute winner as Leicester City won 2-1 in the Premier League at Burnley despite Harry Maguire's early red card. Maguire's dismissal gave Burnley the advantage at a blustery Turf Moor on Saturday but Leicester led through James Maddison's fine free-kick. Dwight McNeil soon hit back for the Clarets, who had strong penalty appeals rejected when Charlie Taylor went down under Wilfred Ndidi's challenge. But it was Leicester who snatched all three points as Morgan - who came on to replace Demarai Gray after Maguire saw red - overpowered James Tarkowski to nod home.